Кастрюля! Sounds so cozy and familiar! From the French "casserole" (which is also borrowed into English, though in English it's now used for a different type of dish/cookware). What is a sauce pan? What makes it different from en stekpanna? Is it smaller? Does it matter if I call it en stekpanna? So it's a pan verses a pot? Saucepans (or just "pots") are vessels with vertical sides about the same height as their diameter, used for simmering or boiling. Saucepans generally have one long handle. Larger pots of the same shape generally have two handles close to the sides of the pot (so they can be lifted with both hands), and are called sauce-pots or soup pots (3–12 litres). 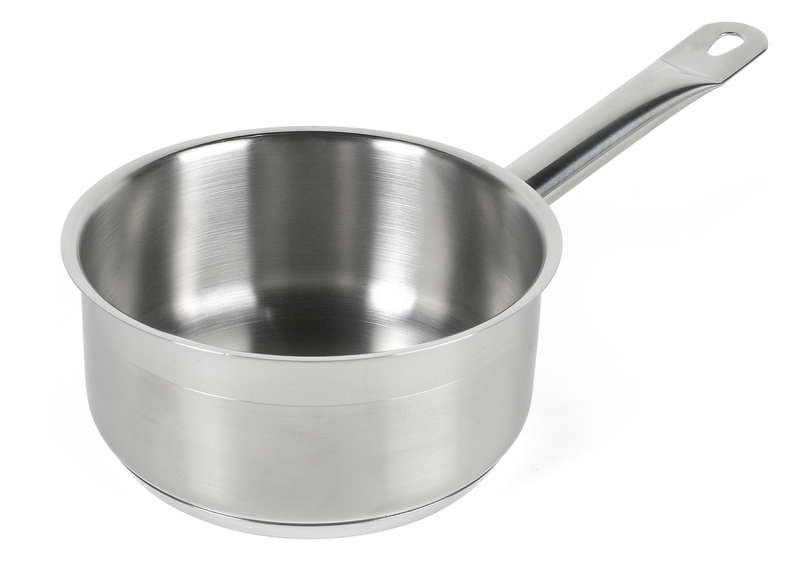 Saucepans and saucepots are measured by volume (usually 1–8 l). While saucepots often resemble Dutch ovens in shape, they do not have the same heat capacity characteristics. Very small saucepans used for heating milk are referred to as milk pans, such saucepans usually have a lip for pouring the heated milk. It's also a good idea to image google the word. Ja, du har rätt. Jag ber om ursäkt. Sorry. I didn't mean that as a reproach, I'm sorry if it came off that way. I was just trying to be helpful. We used image google a lot while building this course, it isn't that easy to keep track of what stuff is called. This is not a word I've actively used in English myself. And I didn't mean that you meant that - it's perfectly ok, I actually could have googled it myself. Vet inte varför jag inte tänkte på det. :/ You were/are very helpful. Australian - I use saucepan too. Yup. Swedish got it from the French casserole, and Russian got it from German, which in turn also got it from French. The ultimate root is a Greek word for ladles. Oh. We do have caçarola in Portuguese, which is my native language, but I've been learning Russian for 7 years in Brazil and never made the connection. I guess I made the connection between kastrull and кастрюля because it sounds more similar than caçarola and kastrull or caçarola and кастрюля to me. Yep! Cattiōla according to wiki.